is the older of the twins by 5 minutes. She’s married to her outdoor Lineman hunk, Cory, and together they have three littles… ages 3 to 8. Kristi pays attention to detail and can accessorize a room with just a few things on hand. She has an eye for decorating and swaps room decor faster than her 3 year old swaps outfits! She is the favorite of our 5 sisters because she changes her mind so quickly with home decor and will simply give it away… which is pretty handy since we live a mile apart! is a stay-at-home mom to her 4 kids, ages 10-16, and happily married to her police sergeant hubby (a bonus is his K9 partner, Hannah, his bomb sniffing buddy). Since he has a busy schedule, she’s taken it upon herself to get acquainted with the tools. Her favorites are the miter saw, brad nailer, drill and level. She loves to build furniture and paint all the things! Her number one advice to DIY’ers is that paint is the easiest and most affordable change you can make to a room. Kelli can paint and accessorize an entire room in less than a day, if armed with Diet Coke and music. If you hate it? Repaint it! 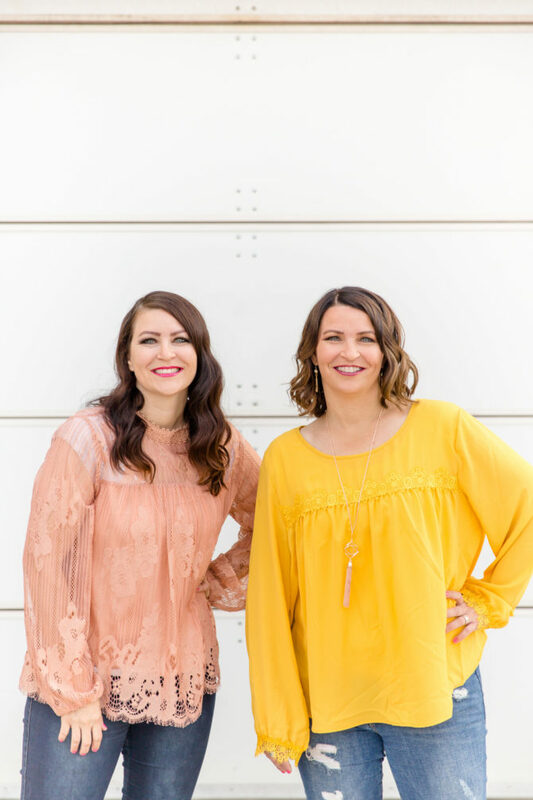 We are often asked where our name, Lolly Jane comes from: When we were learning to talk, Kristi would call Kelli “Lolly”, not being able to pronounce Kelli’s name. Our mom started calling Kelli “Lolly” as well so it just stuck. When we were deciding on a craft name, we thought Lolly would be fun since it has meaning and considered June [Kristi’s middle name after our grandpa’s name, Junius] but Jane [Kelli’s middle name after our great-aunt] flowed better so Lolly Jane it is! We are so glad you’re choosing to spend your time on our blog. If you have any questions for us, feel free to contact us. We love to spruce up our space and hopefully will give you inspiration to do the same to yours!